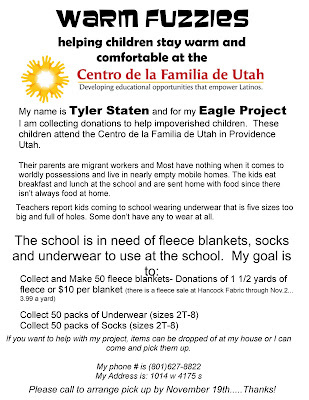 Tyler has been working on his Eagle project for the last month and a half. 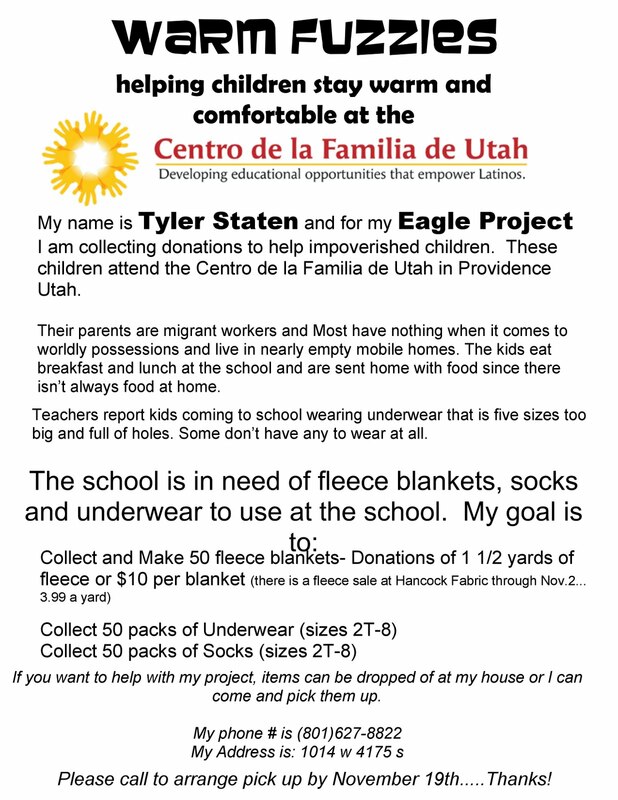 He has been collecting fleece (to make blankets) and socks and underwear for a Head Start preschool in Providence Utah. This particular preschool and after school center caters to helping children of migrant workers. The level of need is amazing, and hopefully what Ty is able to collect and make will help out a little bit. Here's the flier for the project: Anyway, tonight we met at the church with the rest of the Young Men and Young Women to make all of the blankets. The goal had been to make 50 blankets. We have 74! Wahoo! We're still collecting socks and undies, so I'll have to give a final count later:) Thanks EVERYONE for donating and helping to make blankets! There is NO WAY our little family of 7 :) could have made 74 blankets!